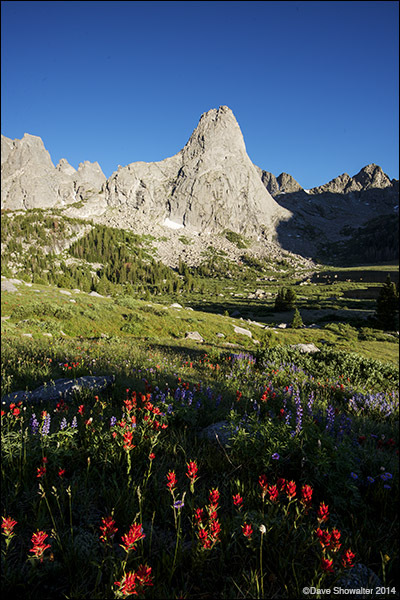 Pingora Peak shines in morning light, touching Indian Paintbrush wildflowers. Pingora is a climber's dream in the Cirque Of The Towers area, with a 1,200 vertical feet of solid granite. Photo © copyright by Dave Showalter.